How would you feel if nobody really knew what it was you were playing in a band, yet your parts were critical, and technically accomplished as well? 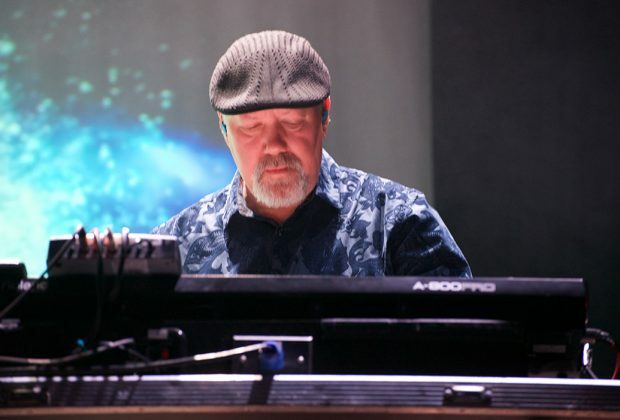 That’s the conundrum that faces keyboard player Bill Hubauer, who was another independent musician who seemingly came from out of nowhere to become part of one of progressive rock’s most impressive outfits. 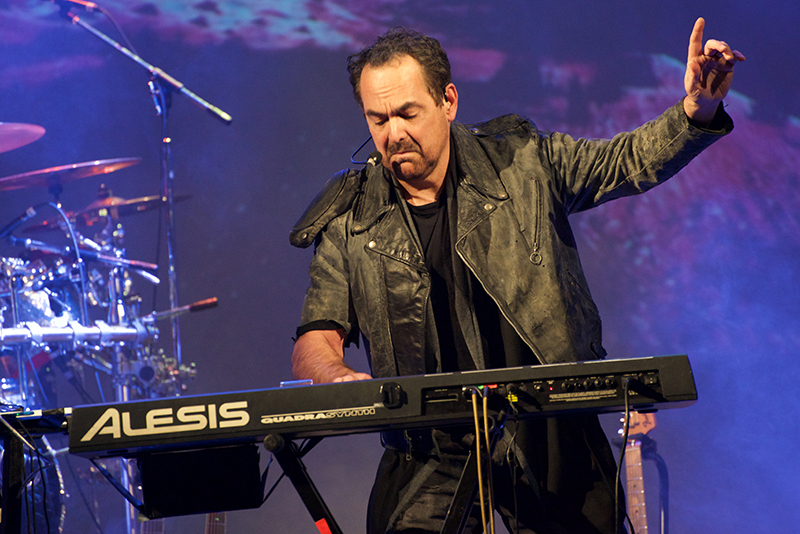 Sharing keyboard duties with Neal Morse, how do you tell one player apart from the other? To start, you have to be familiar with Neal’s expansive catalog of work in Spock’s Beard and on his solo records to have a good idea of his style and lead/soloing work. Simpler than that, of course, is to catch a live Neal Morse Band concert. This reveals Bill’s talent in more obvious ways, though it still won’t tell you exactly who played what on the records, as these guys routinely swap parts as needed when performing. But just the fact that Bill readily plays whatever Neal throws at him should be telling enough. Making money or doing this full time is not what validates your art. MPc: You seemed to blast onto the scene without any real prior history, so all I know is that you’re a Berklee trained musician. Why don’t we start with some background on who you are as a musician? BH: Well, I grew up in a small, fairly rural, western PA town and this was back in the ‘70s and early ‘80s, when unless you heard a song on the radio or somebody told you about it, there was no way to discover anything, any kind of music, or magazines. 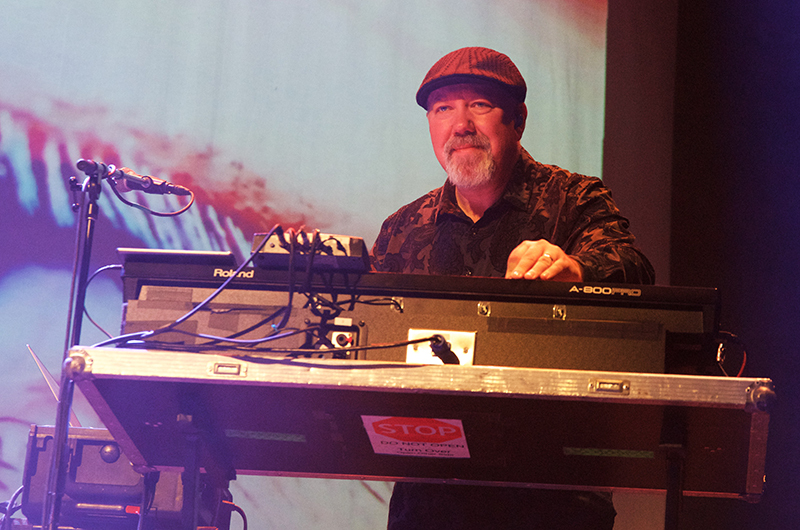 It was kind of later on I stumbled over progressive rock and became really interested in synthesizers and keyboards. I liked to figure out how to do that. So as a high school student, I started teaching myself, and was able to find some used gear that I could play around with. 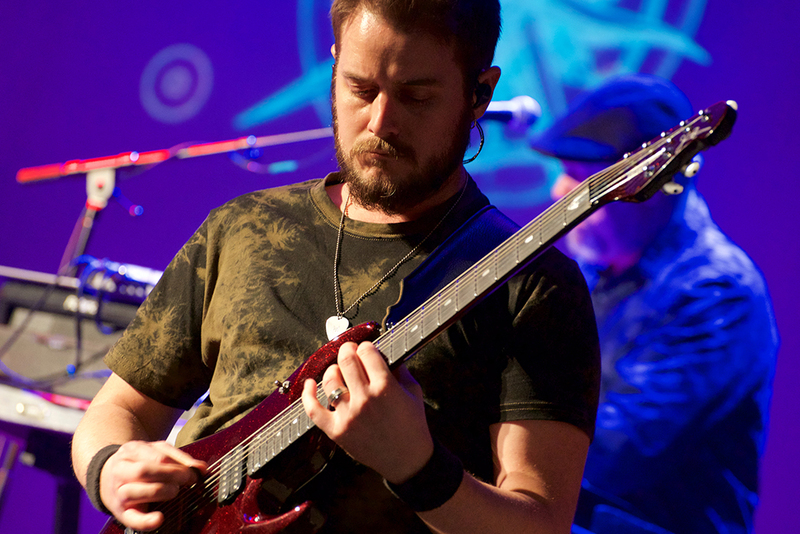 I played in the high school band, clarinet and saxophone, took some guitar lessons but it wasn’t until I stumbled over prog rock bands that I became really interested in learning how to play. Mostly self-taught from that perspective, out of high school I thought, I got interested in computers in high school, software development, I thought, “Either I’m gonna’ do that or do music.” I decided to try music. I got into Berklee and I really didn’t… what 18 year old really knows what they want to do? Not too many. I spent a year there, and learned a lot more on the theory side of things than arranging. I honestly don’t remember why I didn’t continue, it could have been financial or maybe I thought I just wanted to go play, I’m not sure. After that, I started playing in all kinds of different bands, mostly cover bands at the time. Anytime I really felt like I tried to make a living doing music I really just felt like I couldn’t do what I wanted to do and I just didn’t like it. The things I love about music sort of evaporated when I had to make a living doing it. And I know that’s not true for everybody, some people just play and they love to play, love to play whatever, and that’s great, but I wasn’t like that. So then I thought, well I like computers, then I got into software development. Most of my career, primarily I’ve been a software developer and have played in a lot of local bands and things like that just for fun, the weekend warrior thing. I did do some traveling with this Christian parody band, kinda’ like, their tagline was “Weird Al meets Billy Graham.” That was kinda’ fun. We traveled all the US for a while and they’re still active doing the stuff which is pretty cool. Really that was it. I had some original bands that didn’t tour or anything, we had no label deal. And then, all the while I did discover Neal’s music, initially with Spock’s Beard, followed into Transatlantic and the first few solo albums. His was the first music that really spoke to me since I was a teenager, when you’re young and you hear this stuff, or you find that band, that songwriter that really reaches in and grabs you. And for many years I hadn’t had anything like that in my life musically, and Neal’s music did that for me. When I found out he was having auditions for a new band, of course, I wanted to be... that was what I wanted to do. MPc: I just discovered the audition videos that you put online. That was pretty awesome. You basically taught yourself a bunch of Neal’s songs and programmed the sounds and sent that to him. BH: Yeah, I had no idea what kind of competition there was, how many different keyboard players were auditioning. I made my videos initially private on YouTube, where there were a few others that didn’t, so I could look at those guys and see what I was up against. There were some good players I didn’t know, and you have a lot of self doubt if you have a chance to play with somebody who you really admire. A lot of people would have a lot of self doubt and I did. I wasn’t sure if I could do it. So I’m very thankful that I could, and that it was even going to be like a band like it is now. It was just backing him up doing his solo stuff, which would’ve been amazing on its own. And then for it to turn into a full band with full collaboration is something I never would’ve imagined. One of Bill's audition videos. Nice job! MPc: Yes, and I have to say: You have the toughest positions in that group, certainly, for people to get to know you as an artist. Here you are in a band, with a guy who plays the hell out of keyboards and he also plays guitar and anything else that makes noise. But being to listen and say, “Oh, here’s what Bill is doing” versus “Here’s what Neal is doing,” that can be challenging at times. BH: It’s hard. 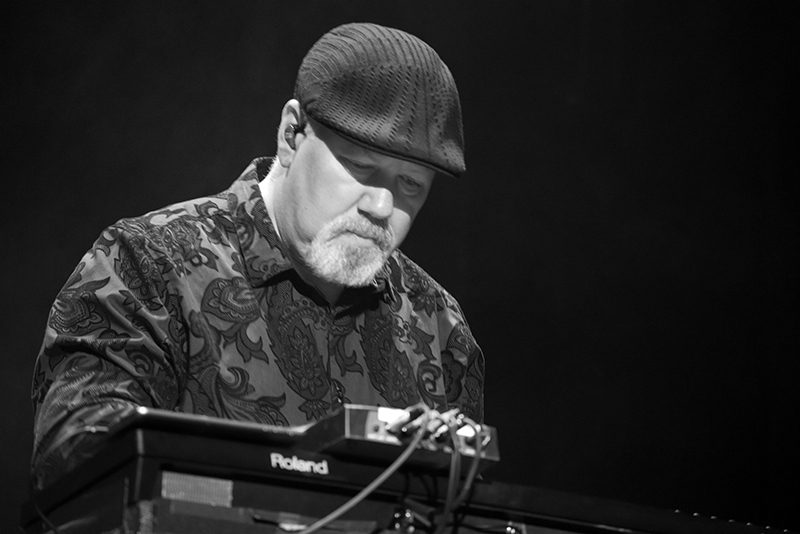 That’s an interesting point in that I was very aware of that and also because Neal and I share a lot of the same influences, keyboard players that we listen to. And I was influenced by Neal because I was a fan of his for 15 years prior to me playing with him. So I had his influences. I do play like him, similar in some respects. I wondered if anyone would be able to tell who was doing what and I did couple things that I thought I’m gonna’ play deliberately... I had to find my voice in the band, right? I had to find what can I bring. I don’t need to play the same kind of thing Neal would play because he could just do that himself. So what can I bring in that would be different? So for the last couple albums, I’ve been trying to bring in some different textures and keyboard sounds the Neal wouldn’t normally use. He definitely has his favorite five sounds, that’s what he likes, and I like them too—I’m not complaining, but... I’m trying to bring in some different things and play some different styles that would be something that I could add into the sound other than just copying him. And I think people are getting it. Plus when they see us live and Neal plays a lot more guitar live, on the last couple of albums, and so they get a sense of what I’ve been doing. But we don’t always play what we record either because of logistics. Sometimes there’s two guitar parts and so I have to play a keyboard part that Neal played. It’s still a little bit confusing. MPc: Yes. Actually, I’m really glad that we’re speaking after attending last night’s concert because I really didn’t appreciate just how significant your role is in the music until watching you live and seeing how and why one keyboard player is not enough in this band. BH: Yeah, but it’s still a lot of places where one keyboard could do it but we both play. Safety in numbers or strength in numbers. Why kill yourself all the time when you can share the love? There’s places, and this is a funny little piece of trivia, there’s this little bit right at the beginning of the overture that’s really fast on the new album, and it’s just hard to play. We just split it up, he plays the left hand and I play the right hand. Because it’s so short, it’s like five seconds long and it’s, like, why kill yourself over it? We share the love. 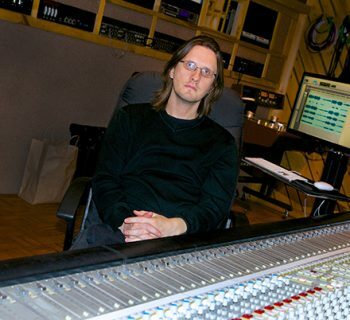 MPc: You guys play nearly everything live, correct? BH: We do use a little percussion loops and things like that, tracks for that, things you can’t play live easily that are important. We don’t normally use any vocal samples, the only thing we do on this tour is “Welcome to the World” because it has all that weird effects stuff on it that we felt was signature enough that it was simpler just to do that. I set out on our new album to not use any Mellotron. That was my goal. MPc: Tell me about the keyboards that you’re playing on stage. BH: Sure, its a very simple setup. I have a Studiologic Numa organ for all the organ parts and that runs through what’s called a Ventilator, which is a Leslie simulator, to get that classic Hammond, rotary sound. And then, that goes into... I have a MOTU interface that just goes into that and then my computer into MainStage. And then my controller has a USB cable that plugs into my computer and I use MainStage. So everything other than the organ is coming off of samples or software synthesizers. BH: So when I hit this certain note, I have code that’s running, watching for me to hit that note and it does the pitch bend for me. So there’s a few little cheats like that are necessary. But I don’t think of that stuff as cheating because it still took skills to write the code, to do it. You know what I mean? BH: Some things like that, I have a lot of little things to do, or you physically can’t get one hand, like I’ll do a thing where, maybe if I’m doing a fast line up to the top of the keyboard and I need to switch to a new sound and then get down to the lower part, maybe when I hit that top note, it sees that note, and it changes the sound and maybe plays the first chord of the next section to allow me to get my hands down to the next part. And a lot of that stuff is because Neal is playing guitar, whereas he normally would have been playing keyboards. MPc: Nice. That’s very cool. 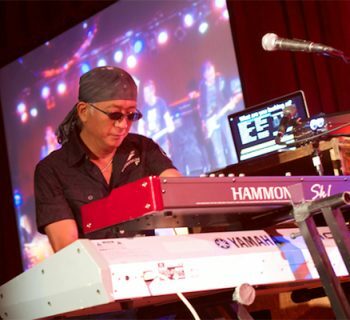 I’m also a keyboard player and use MainStage live as well in my rig, so I’m really fascinated by some of the advanced things you’ve done with it. What are some of the virtual instruments that you’re running? BH: Right, well my favorite go-to analog synth is an Oberheim, an OBX emulator called OPX from this company called Sonic Projects. And I think it’s just a one-man shop, just some guy who’s doing little boutique synths. And it’s just amazing, I first got it for the last album, and I use on a lot of things. But I have the Native Instruments stuff and I use Kontakt a lot for sampling things. MPc: Where do you get your piano sound? BH: Yeah that’s Ivory, Synthongy’s Ivory. That’s my piano. Oh, another company I like a lot is G-Force software. So my MiniMoog software emulator is G-Force. MPc: Is that the MiniMonsta? BH: Yeah, right. 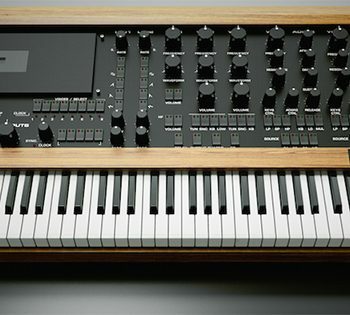 [laughs] And when I play the Arturia one, and I like Arturia, I like a lot of their synths, but when I play their CS-80 synth, it doesn’t remind me of a CS-80 at all—not even a little bit. I don’t get it. But this one with Memory Moon, it’s really cheap and looks great and I use it a lot on the new album. Here’s the funny trivia: So prog guys, we’re always looking for the best possible Mellotron samples. How many different Mellotron samples do you have to have? I have so many different ones! BH: I tried to do that... I set out on our new album to not use any Mellotron. That was my goal. And I think I maybe used it once because Neal added some but I said “I’m not gonna’ do it.” One of the things I used from the V Collection from Arturia was the Solina Strings. I love those. So I used those on a few places where I would’ve used Mellotron before. That was fun. MPc: How do you go about monitoring your keyboard sounds on this tour? BH: I just started... I use in-ear monitors for most shows unless it’s a festival style show or outside. Outside I like to hear and like to take them off. Our front of house board is actually in our monitor mixes because we’re taking it with us and it’s digital. So it’s the same virtually after the second or third show, the mixes, you put your ears in and it sounds the same, never changes, hardly. So I just send my stuff to Rich [Mouser, the band’s mix engineer, also tours with the band running live sound] and he sends it back to me. He hears it and that’s how I hear it. 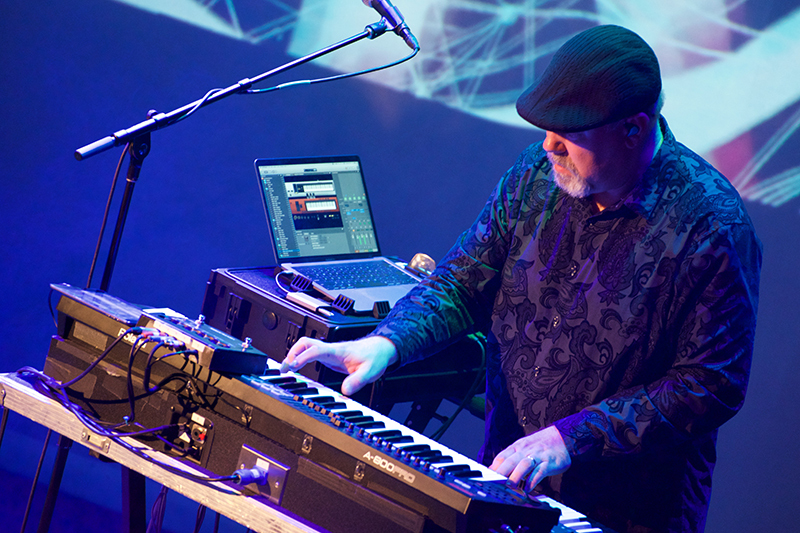 MPc: Tell me, what was it like playing with Neal after things evolved into a band experience? BH: Well, it’s intimidating... it’s one thing to be in the room together like, for The Grand Experiment album we tried to write as much as possible in the room together. And I’ve done that in many bands over the years so that was a very natural, comfortable experience. You just start throwing out ideas. But if you start to go back and bringing in more completed song ideas that was a little bit more intimidating. I’ve writing this kind of music for 25 years, with no outlet for it, so I have this huge backlog and the beauty of Progressive Rock is, when you play ‘70s style Progressive Rock you don’t have to worry about it sounding dated, because it already does. You bring in something that I wrote in the late ‘80s in that genre and it still sounds like that genre. You couldn’t tell how old it might be. Yeah, I’ll bring in these song ideas... it was great. I mean anytime someone whose opinion you respect validates what you’re doing, working on, it always feels good. MPc: What do you think is more challenging? Nailing the keyboard parts or the vocal parts? BH: The vocals. I got myself into box here: “Let Bill sing all the high parts.” I’m still learning what I can do. Because we have three singers, we can get away with things you couldn’t do when you have just one singer. Like, you can sing, most singers can sing outside their range, their natural range, and have it sound good or interesting, but you couldn’t do that all night long. A lot of the stuff I’m singing is well outside my natural range, but I don’t have to do it all night. I only have to do it a few times. But there’s a little bit more of those few times on this tour so, I’m still working through where to save my voice and where to go for it. MPc: And what are your plans for after the tour? Anything on the horizon that you know of right now? BH: Well, musically, I have another band/project called We Came From Space. It’s late ‘70s album-oriented rock with some progressive stuff in it, quite a bit different from the Neal Morse thing. We have two albums out and we’ll start to write a third one now. We’ll have that later this year, hopefully. And like I said, I work. I’m the musician who likes his day job. I’ll be doing software development, be with my wife and my family. MPc: What’s something you always wanted to tell a room full of musicians? BH: This is how I did it. You don’t have to be a full-time professional musician to be fully satisfied with your art. Making money or doing this full time is not what validates your art. If you are feeling satisfied and fulfilled with what you’re creating, and you have an audience that is affected by it in some way, then to me, that’s the best you can ask for. I think a lot of people are driven, like, that they have to somehow make a choice between a career in music and a career in something else. And, you can still, if you love to play music all the time, just go for it. But if you’re more interested in the creative, artistic part of it, then do that. You don’t have to be a starving artist, I guess. You just can’t spend as much time on it as you’d might like, but it’s about quality; not quantity. Photos © 2019 Scott Kahn/MusicPlayers.com.